I still haven’t caught up on the sleep deficit and food surplus accumulated at SXSW. This was the most avgeek-ish post I’ve written since my recap of texting and calling from Gogo’s private jet at SXSW two years ago. 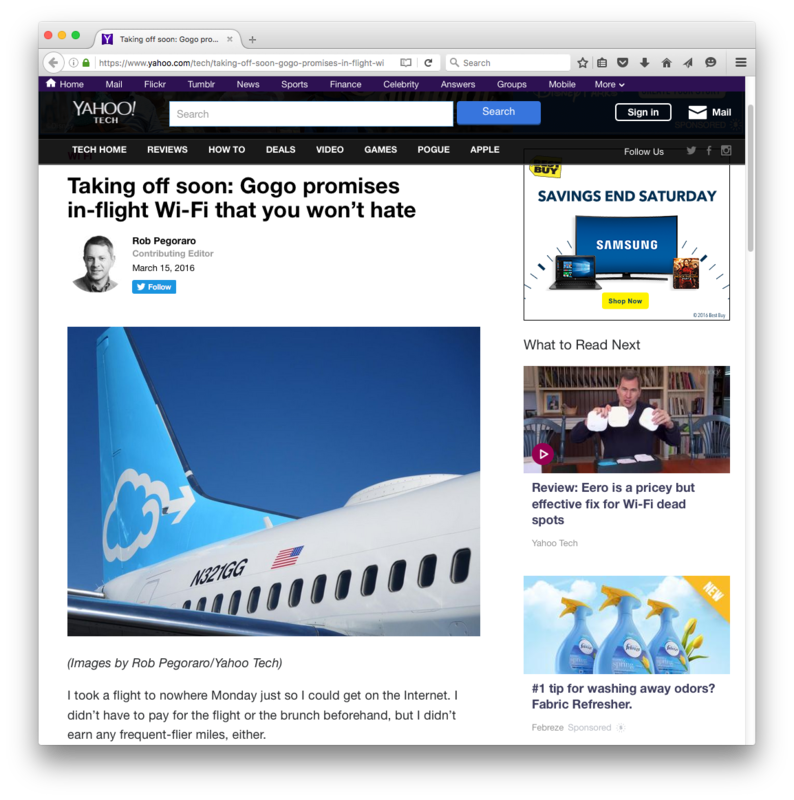 For more details about this test of Gogo’s new “2Ku” satellite-based WiFi on that company’s Boeing 737-500, I’ll point you to the writers who sat one row behind me, Gary Leff and Zach Honig. I found SXSW’s Online Harassment Summit to be a little less depressing, slightly more hopeful and a lot less crowded than I expected. As I type this, the post on my Facebook page linking to this story has been seen by all of 29 people, or barely over 1 percent of the people following my page. So, yeah, I am fully aware that algorithmic filtering of social-media timelines has consequences. Or maybe I just wrote a boring post? After a lot of mental back and forth about how I could so some sort of SXSW recap that wouldn’t duplicate all of USAT’s earlier coverage out of Austin, I realized that I could contrast each highlight of the festival with whatever event I had to skip to attend that panel, Q&A or demo.